Summertime=grill time, and we’ve certainly been abusing our grill the past few weeks- grilling chicken, steak and all sorts of veggies. This recipe is simple: choose your favorite cut of steak (or one that is on sale like we did) and grill to order. We prefer our steaks medium rare, and that is just how Jon prepared these rib eyes. 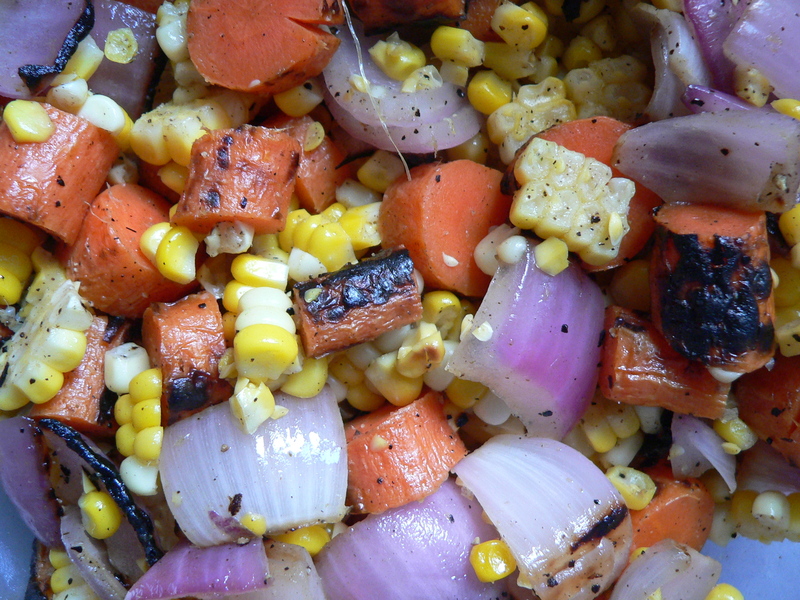 Grill the corn on the cob, carrots and onion on the grill (about 10 minutes). 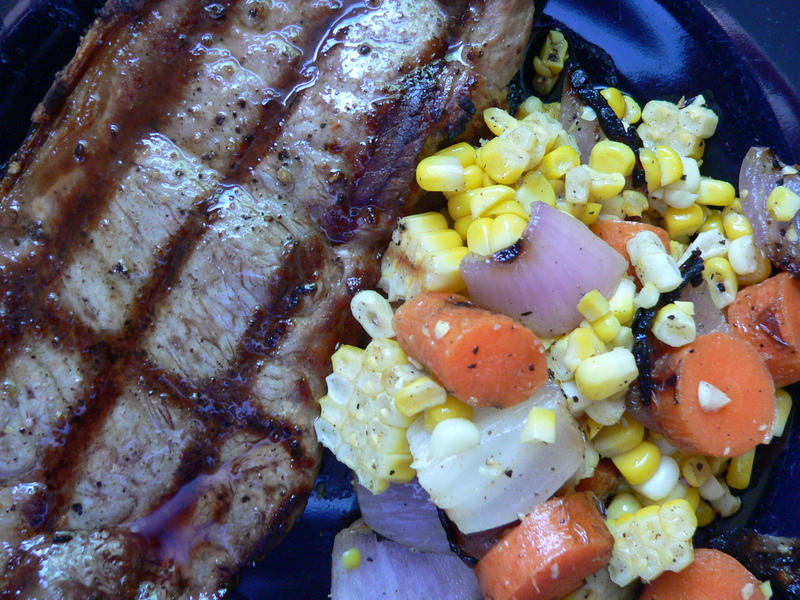 Remove veggies from grill and allow to cool. Chop veggies and toss with olive oil, salt and pepper. Easy!